School of Transportation Institute, Shijiazhuang Tiedao University, Shijiazhuang 050043, China. Wheel out-of-roundness (OOR) inevitably jeopardizes the safety of railway operations. Regular visual inspection and checking by experienced workers are the commonly adopted practices to identify wheel defects. However, the defects may not be spotted timely. 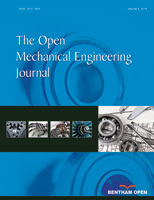 The paper puts forward a new method of real-time monitor wheel OOR based on PVDF strain sensor. In this method, the track strain response upon wheel-rail interaction is measured and processed to generate a condition index which directly reflects the wheel condition. Firstly, theoretical model of relationship between PVDF sensor output and wheel/rail loads was set up, and the principle for measuring vertical wheel/rail contact forces was proposed. Secondly, the effects of horizontal wheel/rail force and train speed on the output results have been discussed. Finally, this approach was verified by finite element analysis, and the preliminary results showed that this electromagnetic-immune system provides an effective alternative for wheel defects’ detection.